In recognition of National Suicide Prevention Week, this is the third in a series of posts on preventing and coping with student suicide. For more information on National Suicide Prevention Week, follow the hashtag #NSPW16. For those who’ve never experienced it, the shock that accompanies the sudden passing of a friend or loved one is unthinkable. When death comes in the form of suicide, the shock for family and classmates can be overwhelming. “Many survivors of suicide loss relate the same experience as mine: their loved one’s death by suicide was entirely unexpected.” writes Alyssa Relyea, who lost her twin brother to suicide, on the American Foundation for Suicide Prevention’s blog. Relyea has since become an advocate for suicide awareness, teaching others how to look for and spot suicide warning signs. She’s learned to live with the memory of tragedy. But years later, she admits the feeling is still raw. Unfortunately, Relyea is not alone. Across the country, thousands of teens are forced to confront the harsh reality of suicide every year. Add the weight of unthinkable personal grief to the social and academic pressures of high school—and the feelings can be overwhelming. Schools play an important role in helping students deal with and work through tragedy, especially when the victim is a classmate. With this in mind, the American Foundation for Suicide Prevention (AFSP) and the Suicide Prevention Resource Center (SPRC) created a toolkit for school administrators that features tools and resources to help students cope in the aftermath of a suicide. As we close out this week of remembrance and awareness, the guide’s tips for helping students cope with the tragedy of suicide continue to resonate. Give students immediate, individual attention. 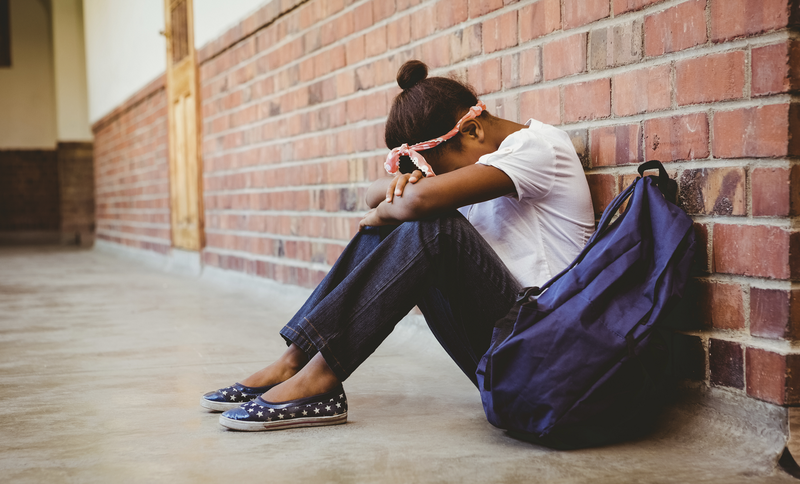 In the wake of a teen suicide or other tragedy, it’s important for schools to immediately and vocally offer students access to emotional and psychological support. Meeting one-on-one or in small groups allows teachers and staff to give students the intimate attention they need—and to provide additional help for those especially affected. The AFSP and SPRC recommend that these initial sessions focus on providing students with strategies for dealing with their grief and giving them time and safe space to express their feelings and emotions. Provide students practical ways to cope. Breathing and counting exercises—think count to 10 slowly, or deep breathing. The pursuit of hobbies, such as music, reading, sports, or exercise as coping mechanisms. Writing a list of hopes for the future to focus on moving forward. Strengthening bonds with friends and family and improving personal communication skills. Help parents support their kids. When it come to tragedy, most parents are just as inexperienced. As educators and counselors, you can help parents support their children outside of school. Provide guidance on coping best practices. Invite parents to discuss these issues with grief counselors or teachers. Give community members a forum for venting their own concerns and personal grief, whether through in-person meetings or as part of some kind of online forum. And make sure parents and guardians understand and are aware of the support offered to students through the school. Students will be especially susceptible to grief on certain dates throughout the year, particularly those dates that mark a birthday or anniversary of a loss. Whether it’s the student’s birthday, anniversary of their passing, or some other important marker, don’t be afraid to acknowledge and celebrate that student’s memory. And make a point to offer support and be extra vigilant on these days. Help students express their emotions. If you do nothing else, make a point of being there for your students when and where they need help. Give students every opportunity to vent their frustrations. Nobody wants to confront these sudden tragedies. They are horrible and often painful. Sadly, they‘ve also become a reality for far too many students and families. What steps does your school or district take to provide support and counseling when it is needed most? As we close out the week, take a look back at the other posts in this series (Wednesday and Thursday) for ways to lead in times of untimely loss and grief in your school community. Be the first to comment on "In wake of tragedy, schools must help students cope"